Could you trust them if they do not respond to your emails? Great if it's your first website and you're not looking to keep in touch with a subscriber base. But look elsewhere if you're going to grow your business. If you are looking for migration help - they charge around $99 to move everything over for you, but remember you might need to move again so it is worth it to know exactly what you're in for before moving to Bluehost. Compare hosting providers before buying a package. Firstly, I think just like Godaddy, Bluehost is a great starter package if your requirements are not high – and if you do not ask questions that fall outside a standard offering. For example, Blue Host’s CEO, Dan Handy did not respond to a recent request via LinkedIn, when a website owner could not find an answer to his question from the call center staff who operate the online chat. The website owner wanted to know how many email relays their hosted WordPress solution can send per day – because he has 100K subscribers who all receive an email notification when a new WordPress post is sent. This has led me to belief that both Bluehost and Godaddy are mainly catering for wannabee business people who do not run sophisticated websites with subscriber bases. Yes: All ISP’s should root out spam, but the lifeblood of a business is it’s subscriber base – and if Bluehost and Godaddy cannot accommodate – or cannot answer specifically as to the amount of permitted relays per day, it means the sophisticated businesses cannot rely upon them. Then again, Bluehost does not have a lot of downtime and that is why small sites might like them. 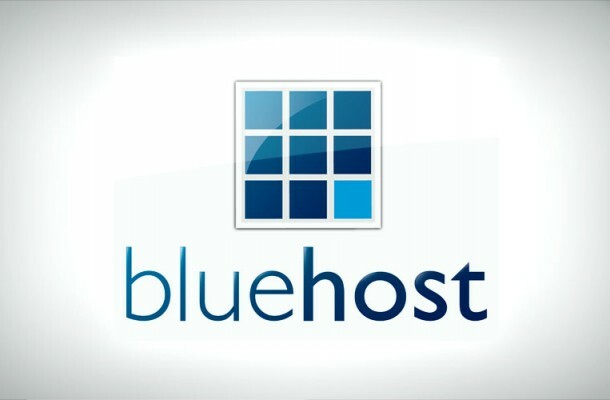 Now Bluehost has a good reputation for easy installations – so if you’ve never had a website, and you just want an easy cheap WordPress website to be hosted somewhere, Bluehost could be awesome. But if you’re going to grow a business and you want reliable support who can provide you with an answer to any question which is not covered in the standard package, Bluehost may not be the answer. Yes, Bluehost could be good if you’d like to get used to WordPress and play around – but if entertaining your subscriber base and top level support is critical to your business, then you need more than just a CPANEL solution. You need an ISP who go out their way to understand you and who look beyond standard, easy, packaged solutions. Cheap hosting is great if you don’t know where you’re heading in business – but remember: Email marketing is not dead. It is huge and since Facebook changed their policy on re-engagement, email is in fact making a strong comeback in the market. This is where Bluehost and Godaddy needs to take action: To make sure they still meet SPAM regulations in the US, but to also provide a suitable platform for businesses who thrive on subscriber email and reasonable volumes of message relays. Note that Likedreviews does not currently receive any fees for promoting a hosting provider, hence this review is unbiased. Hosting reviews can depend on the need of the client, as stated: Bluehost could be excellent if your requirements are little, but not the case when you require a hosting provider who goes the extra mile with tech support and wider specifications. I wish Dan Handy and his team all the best!